Purchase your 2019 Season Tickets* now! 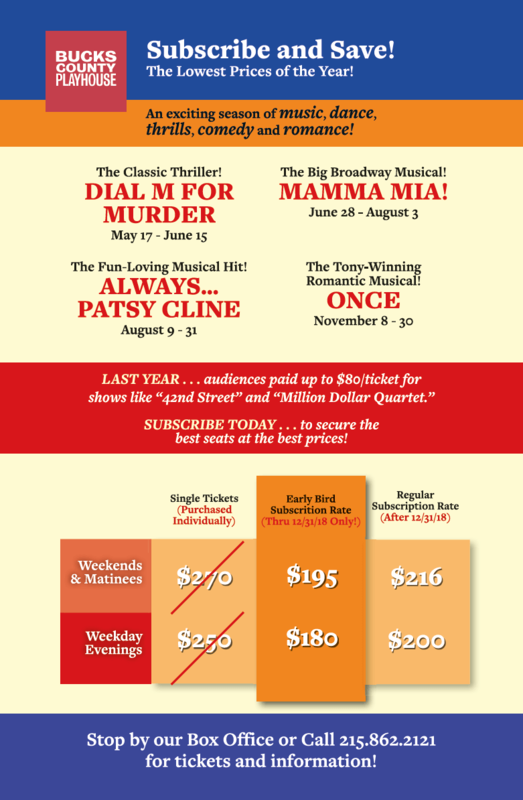 Becoming a season ticket holder is the best way to enjoy 4 shows at a fantastic price. *2019 season show titles and dates may be subject to change. **All season ticket packages are subject to a $24 per package fee. **All season ticket packages are subject to an additional $24 per package fee. See 4 great shows for 1 fantastic price!